Powerful energy booster for any occasion! 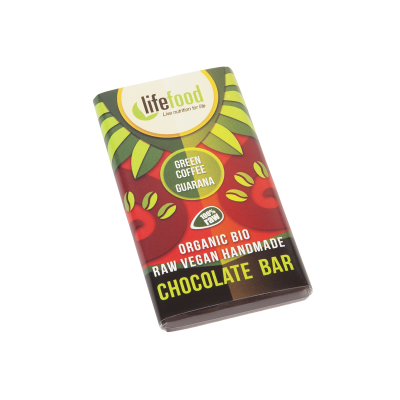 Green raw coffee and 4% of natural guarana powder make this mini chocolate a real kicker. Natural and powerful energy booster for any occasion! 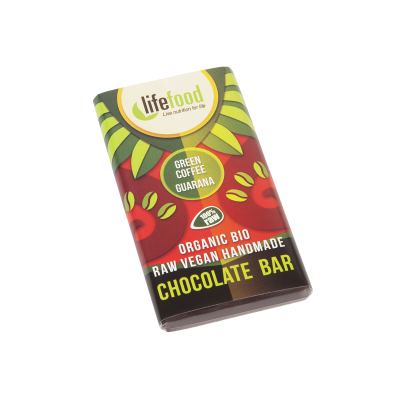 Green raw coffee with 4% of natural guarana make this raw vegan chocolate a real pick me up. This cute format is always at your disposal to help you boost your performance. Raw Cacao Butter* (42 %), Raw Agave Syrup*, Raw Cacao Powder*, Raw Cacao Nibs*, Green Coffee Beans* (4 %), Guarana Powder* (4 %), Maca Powder*, Ground Vanilla*, Cacao Content (71 %).